Though it might have some of the worst restrooms in all of the city (especially for ladies), we’ve spent many a happy evening watching the Giants at Bus Stop. 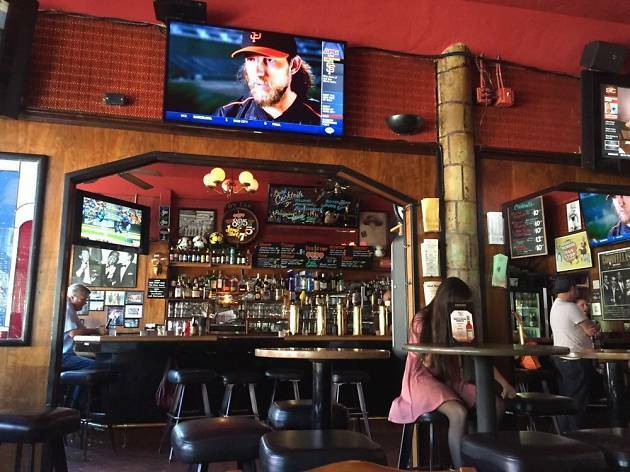 The bar, which has been around since 1900, sits on the corner of Union and Laguna—just behind the bus stop. 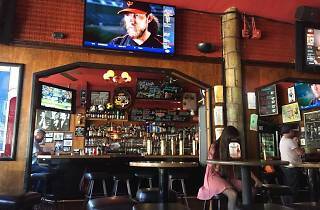 It’s a no-frills sort of place that has buckets of beers, shot specials, pool in back and plenty of televisions. Frequent customers are warmly welcomed by friendly bartenders, and the atmosphere is one of camaraderie. Come here often enough and Bus Stop will begin to feel like Cheers. Seriously.